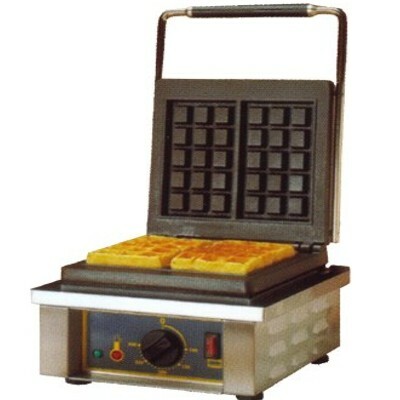 We have a selection of Roller Grill waffle machines & irons to choose from. All our waffle irons have an all around removable drip tray. The Roller Grill GES single waffle machines are constructed of stainless steel and have cast iron plates. Pattern as per model below. Fully removable all around drip tray, On/off switch, thermostat and cooks in about 2 -3 minutes. The Roller Grill GED double waffle machines are constructed of stainless steel and have cast iron plates. Pattern as per model below. Fully removable all around drip tray, On/off switch, thermostat and cooks in about 2 -3 minutes. For further information on Roller Grill waffle machines or to place an order.